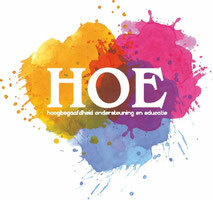 Engelstalige Boeken over Hoogbegaafdheid - De website van hoebegaafd! .Hieronder vindt u een overzicht van de must-have Engelstalige boeken op het gebied van hoogbegaafdheid, volgens HOE. Vooral boeken over 'existentiële depressie' en 'twice exceptional' (2E) vindt u in deze lijst terug, maar ook andere aan hoogbegaafdheid gerelateerd onderwerpen. Kijk ook eens naar de andere lijsten voor meer inspiratie. 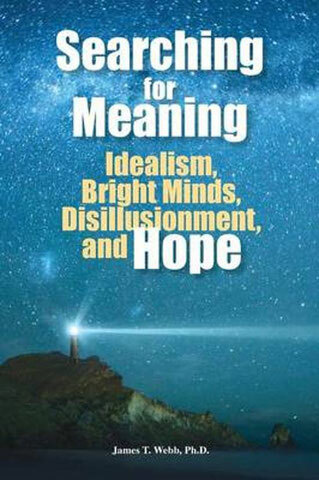 Many bright idealists find themselves disillusioned and they may experience existential depression as they examine their lives and search for meaningfulness. This book includes information and suggestions for actions that can better manage their feelings and thoughts in ways that provide a sense of satisfaction and contentment. 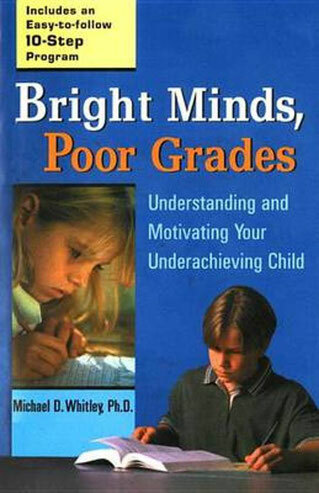 An authoritative guide provides an effective ten-step program that will help encourage and motivate underachieving children and promote success, both in school and in life, and reveals the six types of underachievers, from the procrastinator to the con artist. Original. Are you relentlessly curious and creative, always willing to rock the boat in order to get things done . . . extremely energetic and focused, yet constantly switching gears . . . intensely sensitive, able to intuit subtly charged situations and decipher others' feeling? 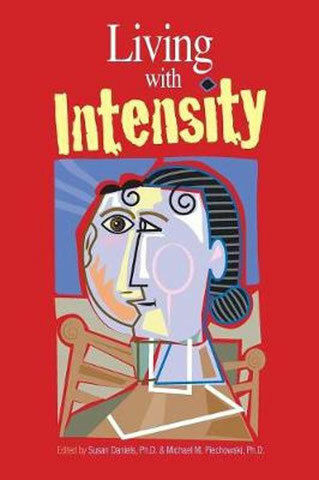 If these traits sound familiar, then you may be an Everyday Genius--an ordinary person of unusual vision who breaks the mold and isn't afraid to push progress forward. . . .
As thought-provoking as Daniel Goleman's Emotional Intelligence, psychologist Mary-Elaine Jacobsen's Gifted Adults draws on a wide range of groundbreaking research and her own clinical experience to show America's twenty million gifted adults how to identify and free their extraordinary potential. Gifted Adults presents the first practical tool for rating your Evolutionary Intelligence Quotient through an in-depth personality-type profile. 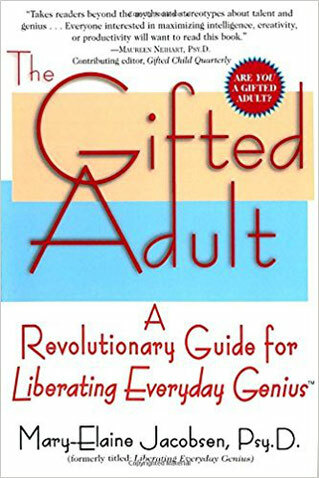 Demystifying what it means to be a gifted adult, this book offers practical guidance for eliminating self-sabotage and underachievement, helping Everyday Geniuses and those who know, love, and work with them to understand and support the exceptional gifts inherent in these unique personality traits. In this compelling book, more than 40 years of research and development are highlighted in a collection of articles published by Joseph S. Renzulli and his colleagues. 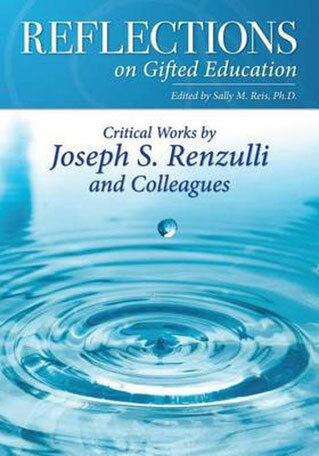 Renzulli's work has had an impact on gifted education and enrichment pedagogy across the globe, based on the general theme of the need to apply more flexible approaches to identifying and developing giftedness and talents in young people. This collection of articles and chapters has strong foundational research support focusing on practical applications that teachers can use to create and differentiate learning and enrichment experiences for high potential and gifted and talented students. 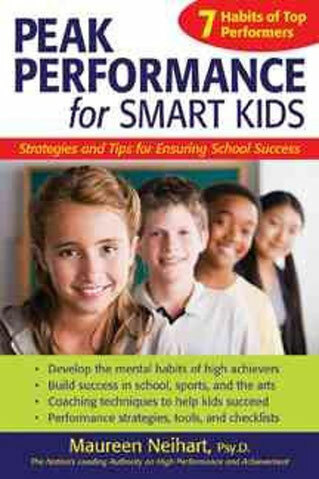 Peak Performance for Smart Kids provides success strategies, activities, tools, real-life examples, and checklists for parents to employ to help their kids achieve to their highest potential. Even the most talented child will not succeed if he or she has not developed the mental, psychological, and emotional skills to face the heavy demands of high performance. Maureen Neihart, a psychologist and leading authority on talent development in children, examines seven mental habits of successful kids, providing practical approaches for developing them in talented children of all ages in this easy-to-read guide for parents and teachers. 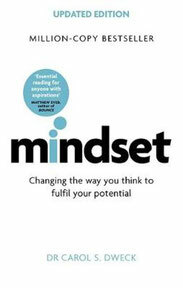 By working with parents to complete the activities included in this book, high-ability kids will learn to manage stress and anxiety, set and achieve goals, use mental rehearsal to improve performance, manage their moods and emotions, practice optimistic thinking, and resolve their frustrations of needing to belong while needing to achieve. With its research-based strategies and unique approach to maximizing potential, this is a book from which every parent of smart kids can benefit! Identify, understand, and engage the full range of gifted learners with practical, brain-compatible classroom strategies! How to better identify gifted minority students. Kazimierz Dabrowski's Theory of Positive Disintegration (TPD), which includes the widely known overexcitabilities, is one of the most influential theories in gifted education. This groundbreaking book, edited by Dr. Sal Mendaglio, brings together leading professionals, many of whom knew Dr. Dabrowski himself, and provides readers with a diversity of perspectives on TPD. It summarizes the research and application of TPD, as well as compares it to other theories of personality and psychological development. 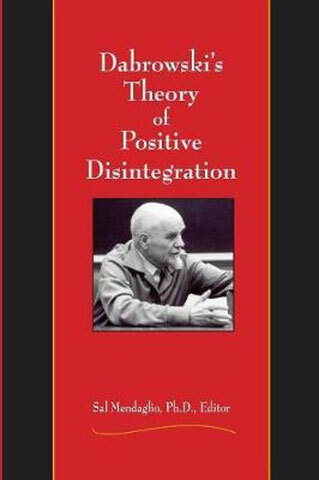 Dabrowskis Theory of Positive Disintegration is a thought-provoking book that provides powerful insights and information not previously published about Dabrowskis theory. Gifted children and adults are often misunderstood. Their excitement is viewed as excessive, their high energy as hyperactivity, their persistence as nagging, their imagination as not paying attention, their passion as being disruptive, their strong emotions and sensitivity as immaturity, their creativity and self-directedness as oppositional. This resource describes these overexcitabilities and strategies for dealing with children and adults who are experiencing them, and provides essential information about Dabrowski's Theory of Positive Disintegration. Learn practical methods for nurturing sensitivity, intensity, perfectionism, and much more. From the author of the widely praised Raising America--a compelling exploration of child genius told through the gripping stories of fifteen exceptionally gifted boys and girls, from a math wonder a century ago to young jazz and classical piano virtuosos today. A thought-provoking book for a time when parents anxiously aspire to raise ''super children'' and experts worry the nation is wasting the brilliant young minds it needs. 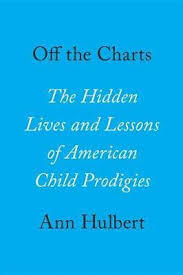 Ann Hulbert examines the lives of children whose rare accomplishments have raised hopes about untapped human potential and questions about how best to nurture it. She probes the changing role of parents and teachers, as well as of psychologists and a curious press. Above all, she delves into the feelings of the prodigies themselves, who push back against adults more as the decades proceed. Among the children are the math genius Norbert Wiener, founder of cybernetics, a Harvard graduate student at age fifteen; two girls, a poet and a novelist, whose published work stirred debate in the 1920s; the movie superstar Shirley Temple and the African American pianist and composer Philippa Schuyler; the chess champion Bobby Fischer; computer pioneers and autistic ''prodigious savants''; and musical prodigies, present and past. Off the Charts also tells the surprising inside stories of Lewis Terman's prewar study of high-IQ children and of the postwar talent search begun at Johns Hopkins, and discovers what Tiger Mom Amy Chua really has to tell us. But in these moving stories, it is the children who deliver the most important messages. This book reveals the dramatic stories of twenty outstandingly gifted people as they grew from early promise to maturity in Britain. Recorded over the last thirty-five years by award-winning psychologist, Joan Freeman, these fascinating accounts reveal the frustrations and triumphs of her participants, and investigates why some fell by the wayside whilst others reached fame and fortune. These exceptional people possess a range of intellectual, social and emotional gifts in fields such as mathematics, the arts, music and spirituality. Through their particular abilities, they were often confronted with extra emotional challenges, such as over-anxious and pushy parents, teacher put-downs, social trip-wires, boredom and bullying in school and conflicting life choices. Their stories illustrate how seemingly innocuous events could have devastating life-long consequences, and confront the reader with intriguing questions such as: Does having a brilliant mind help when you are ethnically different or suffering serious depression? How does a world-class pianist cope when repetitive strain injury strikes, or a young financier when he hits his first million? What is the emotional impact of grade-skipping? 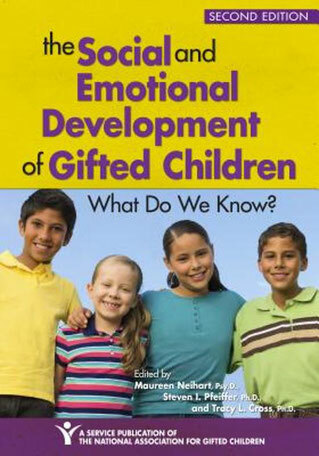 Gifted students with disabilities, also referred to as twice-exceptional children, need the strategies in "Twice-Exceptional Gifted Children: Understanding, Teaching, and Counseling Gifted Students" in order to find success in the regular classroom. 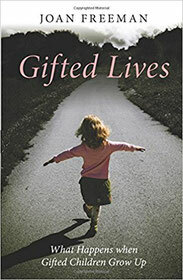 By offering a thorough discussion of twice-exceptional students based on research into how gifted students with disabilities learn, the author helps teachers and education professionals develop a broad understanding of the complex issues associated with gifted students who have disabilities. This comprehensive text provides an overview of who these students are, how teachers can tap into their strengths and weaknesses, and what educational strategies should be implemented to help these students succeed in school and beyond. The book will guide a collaborative team step-by-step through the process of identifying students' needs, selecting modifications and accommodations, and developing a comprehensive plan to meet the diverse needs of twice-exceptional children. 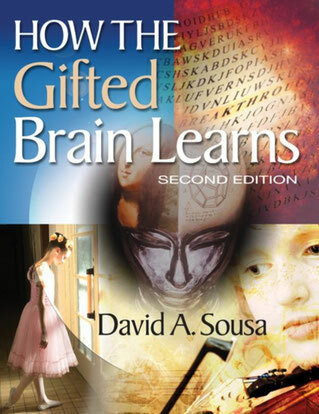 By implementing the strategies suggested in this book, teachers of twice-exceptional gifted students can ensure these students do not just survive in the classroom, but thrive. 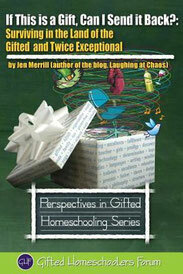 Some kids, including gifted students, have difficulties in school. Gifted students with learning disabilities may continuously struggle with certain areas of instruction, but never receive identification of or accommodation for their difficulties, because their gifts mask their disabilities. Gifted students with learning disabilities need unique instruction and a practical use of accommodations to succeed in school. 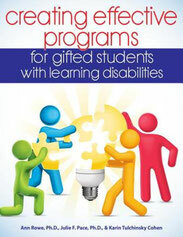 It is important for educators to familiarize themselves with the definitions and characteristics of various learning disabilities and learn the strategies they can use in the classroom to help gifted/learning-disabled students succeed. 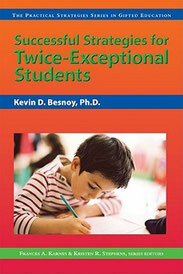 In this book, Kevin Besnoy takes an in-depth look at the various learning disabilities and difficulties some gifted students face, provides practical tips for accommodating and planning instruction for those students, and gives an overview of federal law related to this population. To Be Gifted and Learning Disabled is one of the most popular resources available on identifying and meeting the needs of gifted and learning disabled (GLD) youngsters. 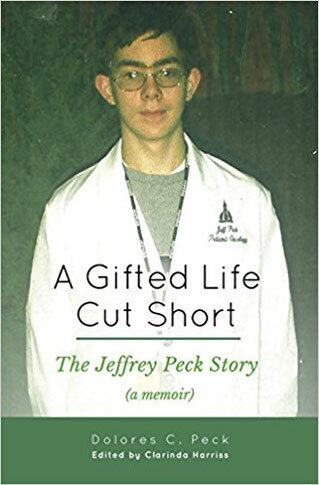 Part I discusses the patterns of accomplishments and failures that many GLD students present and provides important information about the development of two traditionally separate fields-giftedness and learning disabilities-as well as identification and diagnosis issues. Part II explores the contemporary psychological theory and research that guides educational applications for GLD students. Part III offers practical strategies for teaching GLD students and helping them plan and explore options for their future. This revised and expanded edition includes three new chapters on self-regulation, developing comprehensive IEPs for GLD students, and the roles parents and counselors can play in meeting the social and emotional needs of GLD students. 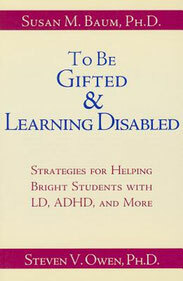 Thoroughly researched and filled with case studies, practical suggestions and techniques for working with GLD students, useful resources, and much more, To Be Gifted and Learning Disabled is a resource anyone who works or lives with a child who has both startling talents and disabling weaknesses should have. 17. 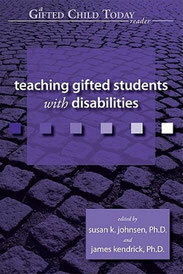 'Creating Effective Programs for Gifted Students with Learning Disabilities' Karin Tulchinsky Cohen e.a. Gifted students with learning challenges can be easily missed in the classroom and often have difficulty succeeding with traditional gifted curricula. "Creating Effective Programs for Gifted Students With Learning Disabilities" provides a road map for understanding assessment and programming for bright students with learning challenges in the era of Response to Intervention. The authors seek to help educators understand the often frustrating experiences GTLD students face in the classroom and to identify accommodations and adaptations that allow these bright students to demonstrate their gifts and compensate for their processing challenges. 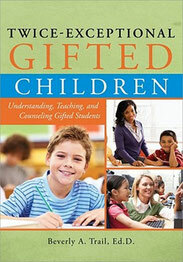 Through an examination of current research and case studies, the reader will be introduced to important features of both giftedness and learning challenges that need to be considered in developing effective assessment and identification procedures for this underserved population and programming that can provide benefits for the entire school community. For the first time, the Gifted Child Today Reader series brings together the best articles published in Gifted Child Today, the nation's most popular gifted education journal. Each book in this series is filled with exciting and practical classroom ideas, useful summaries of research findings, discussions of identification and classroom management, and informed opinions about educating gifted kids. Anyone involved in education will benefit from the practical, research-based ideas this unique series has to offer. Students who have both gifts and disabilities exhibit remarkable talents or strengths in one area and disabling weaknesses in another. For example, the student may be highly verbal, but may be disorganized or have poor spelling and handwriting skills, as well. As he or she grows older, the gap may widen between expectations and performance. The focus is only on the disability and not the gifts. Teaching Gifted Students With Disabilities offers both general information on gifted students with disabilities, as well as specific analysis of those with ADHD and Asperger's Syndrome. Several case studies offer an empathic first-person view from the eyes of teachers, parents, and the students themselves, and a section on identification and instructional strategies will arm teachers with crucial information and ideas on how to work with and help these students. EXISTENTIAL DEPRESSION, A MANUAL OF SELF HELP, featuring essays, articles, and group discussions on the experience of life-related sadness. It puts together in one volume information and tips of self-help to refer back to. Existential depression has not been widely researched. It is a new hypothesis. This book presents the theories which explore the negative forces that drive an individual to worry to much about his or her life's "meaninglessness", sense of aloneness, human fears and failures. Such forces represent powerful influences in shaping or affecting our mental well being. It has been noted that gifted people are more inclined to go through a type of depression referred to as 'existential depression'. Existential depression may arise when a sensitive and intelligent individual starts to reflect on the most essential problems of human existence. These problems are related to one's perception of the self in relation to the others, one's vocational expectations, fear of failure at work, anxiety of performance, reluctance to commitment, distrust in love affairs, concerns about existential isolation. 'Existential depression is an insidious and pervasive condition. It can begin at a very young age. This is the reason why it must be recognized as soon as possible. A duty of parents, teachers and caregivers is to try to bring their attention to its causes and manifestations. Existential depression is a condition and not a real pathology: it affects young and adult individual. |It can cause huge unhappiness and should be approached with the right method and attitude.' The volume includes articles, information, illustrations, and group discussions on the experience of sadness by gifted people. 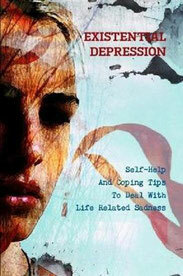 The book offers insight on how to recognize and cure existential depression.